Last week I attended my very first Action for Happiness event! If you aren’t aware, Action for Happiness is a fantastic movement that aims to build a happier and more caring society, drawing on scientific research with the aim of helping people to take practical action in their lives. 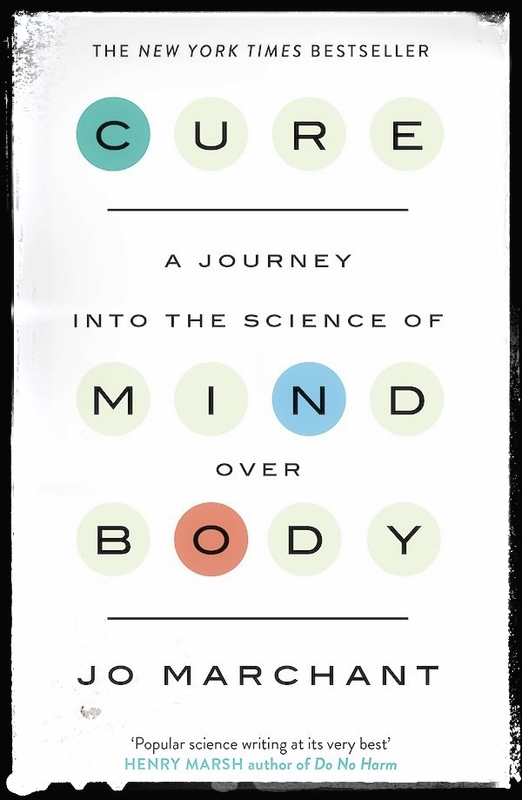 The event I attended was a talk by Jo Marchant, an award-winning science journalist and the author of Cure: A Journey into the Science of Mind Over Body. Jo’s lecture was truly fascinating. It was titled ‘How your Mind can Heal Your Body’ and centred around the power of the brain in affecting how our bodies feel. Now I have spent quite a lot of time thinking about how the health of my body can affect my mind-set; how fantastic I feel after a long yoga practice, or the endorphins I feel after a spinning class. I know I feel mentally healthier if I am eating a good diet and I understand that simply allowing my body some fresh air in the middle of the day can increase my afternoon productivity. But Jo was looking at this from the opposite perspective: how can our minds help our physical bodies? Do our minds have the power to heal physical symptoms in the body? And I must admit, this was a new area for me. When discussing belief, Jo focussed on placebo. Often, the simple act of taking a placebo drug has a very similar effect on our bodies as the real drug itself. For example, taking a placebo drug results in the release of dopamine and adrenaline – much like many real drugs – and this can make us feel better. Thus it is the mind alone doing the work to relieve physical symptoms, rather than any chemical drug. This section of the talk was about how our minds learn certain responses and these then occur naturally. For example, if you think really hard about eating a lemon, just this can trigger the opening of the salivary glands and you feel a tingly feeling in your throat – without even going near a lemon. Our body starts to get itself ready in preparation for something. Is there a food that you have got sick from in the past? And do you now feel sick every time you look at or smell that food? This is because your mind now associates that food with sickness and has developed a learned physical response. But how can this help to heal us? Well, it turns out that we can train our minds to associate certain tastes with bodily responses that can treat physical illness. For example, there was an experiment in which a distinctive drink, unlike anything else the patients would have tasted, was drunk at the same time as taking immunosuppressants. After a while, the drug was taken away and the patients only had the drink. However, because they had now associated the drink with immunosuppressants, the drink alone had the same physical effect as when taken with the drug. This opens up truly exciting possibilities for treating illness. With the right research, there is the possibility of using psychological cues instead of drugs, where the drugs themselves may cause adverse side effects. The final section of the talk was about mind-set. We know that chronic stress can have a negative impact on our long-term physical health (have a look at my blog on cellular positivity). But actually, Jo talked a lot about reframing our mind-set surrounding difficult circumstances as a way of trying to handle stress. She talked about the difference between seeing a difficult situation as a threat and seeing it as a challenge – indeed, we can push ourselves from a threat state into a challenge state and this can have powerful impacts on our physical health. So what can we take from all this? What this really teaches us is that the mind is fantastically powerful… so powerful that it can change our physical bodies. And whilst mental health awareness has taken leaps and bounds in the last few years, there is still a real stigma that separates it from physical illness. However, if the mind and body are so connected, surely taking care of our mental health is just as important as taking care of our physical health. So Hubbers, there’s a little food for thought. Just as you might offer a man with a walking stick a seat on the bus, offer a colleague some words of support and encouragement. Just as you might spend the day in bed if you have the flu, offer yourself some mental kindness if you are feeling down. Take care of your mind just as you take care of your body because, as Jo has taught us, the mind and body work together, and in order to live a happy and flourishing life, both must be looked after in equal measure.